TICKETS: General admission-$20, Seniors-$15, Students-$5. There is ample free, secure parking in the church lot off First Place. For more information, please visit the website at http://CrescentConcerts.org or call (908) 756-2468. The Crescent Choral Society presents an unusual combination of composers: Beethoven and Cherubini for its concert in the beautiful neo-Gothic Crescent Avenue Presbyterian Church in Plainfield. Most concertgoers recognize the music of Beethoven, but for many, the music of Cherubini may be almost unknown. Yet in his day, Beethoven considered Cherubini his peer. In fact, the Cherubini Requiem Mass in C minor, which will be sung by the 33 voices of the Choral Society, led by Maestro Allen Artz, III and accompanied by a professional orchestra, was Beethoven’s idea of the perfect Requiem. He even went so far as to say that if he ever wrote a Requiem, he would have Cherubini’s as a guide. The audience will have the opportunity to hear this little performed work alongside a little known Beethoven song, Elegischer Gesang. The linking of these two great composers in concert was the idea of conductor and Artistic Director Allen Artz. The haunting qualities of both works will be served well by the cathedral-like acoustics of the Crescent Avenue church. Since 1980, Crescent Concerts at Crescent Avenue Presbyterian Church has brought world-class musical events to the residents of the City of Plainfield and surrounding communities. Under the superb musical direction of F. Allen Artz III, programming for our concert series is wonderfully diverse including solo voice and instrumental performances, chamber groups, and full choral/orchestral spectaculars. Crescent Concerts is committed to ensuring that its programs are accessible to all. If you require a special accommodation, please do not hesitate to ask at the concert or call in advance at 908-756-2468 (9 AM – 4 PM). Funding has been made possible in part by the New Jersey State Council on the Arts, Department of State, a partner agency of the National Endowment of the Arts, through a grant administered by the Union County Division of Cultural and Heritage Affairs. In the wake of this month's Justice Department report about racial bias in policing in Ferguson, this event is more relevant than ever, so we hope you will join us. The first panel begins at 2:30pm in room 104-- The second panel, "QUEERING RIOTS, QUEERING ARCHIVES," begins at 4:00pm in room 106--Ackerson Hall. Susan Marx is one of ten artists who will be featured in a group show entitled The Montclair Ten. The exhibition will showcase over a dozen art works in a range of media by ten artists including: Benedetta Balsimelli; Dan Fenelon; Nanci Iovino; Martha Kelshaw; Peg Kenselaar; Susan Marx; Elizabeth Seaton; Earl Speid; Lisa G. Westheimer and Aggie Wszolkowska. Each of the artists featured in the exhibition work in various facets with The Montclair Art Museum, whether in the Education Department, teaching in the Studios, or volunteering in the Communications Department. All ten artists live and work in New Jersey. The show comprises a nice selection of various mediums and styles including: painting, photography, prints, drawing and ceramics and was curated by Martha Kelshaw, Manager of Public Programs at The Montclair Art Museum. Susan Marx is an Abstract Impressionist artist whose paintings are the result of her own radical amazement at the beauty of the visual world and her own need to turn that experience through her. Using nature as her frame of reference, Marx paints her interpretation of what nature leaves her with. She is concerned with light and what light does to color, which is why she calls herself an Abstract Impressionist. Her paintings are the conversations between her eyes, her mind, her heart and her gut as well as the canvas in front of her. Marx enjoys enticing and engaging her viewers, drawing them into a fresh and beautiful world. She hopes her artwork will lead people to notice the beauty in nature, a healing beauty. Marx uses fast-drying acrylic paints which allow her to record her color impressions quickly, painting with thick, bold, rich colors and gestural brushstrokes. She leaves parts of the canvas blank intentionally, in order to create more contrast and tension between the color and the blank canvas, allowing the painting and the viewer’s eye to breathe. This process often also allows the painting to form a shape on the canvas within the picture plane. She enjoys the process of putting color next to color, trying to capture the essence of her subject in her painting through color and emotion, leaving the rest to the viewer's imagination, drawing them into and engaging them through her process. Someone once said Marx works to the muse of Monet, Van Gogh and Joan Mitchell; she was thrilled. They helped guide her in the journey to become the artist she is today. Marx has travelled extensively and exhibited widely. Her works may be found in collections in the US and abroad. She is currently represented by Agora Gallery and Ashok Jain Gallery in NYC and The Veranda Fine Art Gallery in Fair Haven, NJ. In an explosion of color, shape and sound, the extraordinary Nai-Ni Chen Dance Company dazzled an audience in Hackettstown Saturday evening, March 28, as the centerpiece of Centenary College’s annual spring Dance Fest. The event, held on the stage of the Sitnik Theater in the Lackland Center, brings some of New Jersey’s top professional dance companies to perform for the college’s dance students (Centenary offers a major in dance) as well as local devotees who normally have to travel to other parts of the state to see these artists. Nai-Ni Chen founded her unique modern dance troupe in 1988, shortly after emigrating from Taiwan. Since that time, she has created a company of exemplary dancers performing a repertoire like no other. Chen’s choreography interweaves elements of ancient Chinese dance forms with strains of contemporary culture, the immigrant experience and life in today’s America. The program offered at Centenary was very varied. The first piece, for example, Peach Flower Landscape, was excerpted from a longer work created by Chen in 1995 but based on a Chinese legend from the fourth century. Performed to Chinese folk music, it featured five women in traditional robes, moving in a subtle, flowing way that called to mind ancient paintings. If the beautiful ladies in the first dance were subtle and painting-like, the dancers in the second were as tough and bellicose as the music, energetic, athletic and powerful. The strength of the women was so notable that it was not always clear which dancers were men and which were women. The piece was breathtaking. The first two works set the mood for an extensive program that ran the gamut from the delicate and traditional to the aggressively modern. The choreographer herself was beautiful and intriguing in the traditional Passage to the Silk River, in which the costume, a white kimono with extremely long sleeves played an important part in the dancing. This company, a quarter of a century old and constantly a vital member of the New Jersey dance community, has only gotten better over the years. Bravo! This controversial play of its day, Miss Julie centers on dominance, control, and the battle of the sexes. The characters move from their typically mundane lives into a previously unexplored world of passion and danger. Cynthia Ross will direct this Pocket Theatre production of lusty social discomfort. Miss Julie takes place on a Midsummer’s Eve in the kitchen on the estate of a Miss Julie’s father, the Count. Miss Julie (Skye Hersh) is drawn the Count’s valet Jean (Mike Cox), who is particularly well-traveled, well-mannered, well-read, and who also happens to be engaged to the Count’s cook, Christine (Diane Machin). Over the course of one evening the characters explore two of Strindberg’s favorite topics, Darwinism and society’s class struggle. T he program is made possible in part by funds from the New Jersey State Council of the Arts. WHERE: The Zimmerli Art Museum, 71 Hamilton Street (at George Street) on the College Avenue Campus of Rutgers University in New Brunswick. The Zimmerli is a short walk from the NJ Transit train station in New Brunswick, midway between New York City and Philadelphia. While the topic of war inundates the media daily, scenes from the battlefields flash across multiple (and increasingly smaller) screens so quickly that viewers often do not have time to consider the true impact of seemingly never-ending conflicts. Picturing War: Selections from the Zimmerli Art Museum Collection provides visitors the opportunity to reflect on specific battles and how they factor into broader themes. With nearly 130 prints, paintings, photographs, and sculptures by more than 50 artists, the emphasis is on the daily lives of soldiers and civilians: their moments of turmoil, but also their compassion and determination. These artistic responses to the great civil and global wars of the modern era—some created on the frontline, others through the lens of history—capture the propaganda, the human reactions, and the aftermath. TICKETS: $30 for adults, $25 for seniors and $15 for students. Tickets are on sale at The Theater Project’s website at www.thetheaterproject.org and will be available at the door. Set in 1939 Hollywood, Moonlight & Magnolias tells the story of the mid-production rewriting of the original screenplay to Gone with the Wind, one of the most successful and beloved films of all time. Known for presenting off-Broadway-quality theater in an intimate environment, The Theater Project’s M&M production features a talented cast of actors (Below, top to bottom), including veteran improv comedy performer and Glen Ridge resident Deborah Maclean, professional actor and Maplewood resident Rick DeLaney, veteran actor Gary Glor of Union, and professional actor Michael Irvin Pollard. Ms. Maclean has appeared in New York at venues such as The West Bank Theater where she played multiple roles in Kill the Performance Artist and in Los Angeles in theaters like the Odyssey Theater where she played Madame Olevskaya in Diplomacy. Mr. DeLaney has multiple New York City shows and dozens of regional theater performances to his credit including productions such as The House of Mirth and Look Back in Anger in theaters like the Metropolitan Playhouse and The Seeing Place Theater. Mr. Glor has appeared in numerous performances by The Theater Project and other regional theater companies including productions such as The Further Adventures of Hedda Gabler. Mr. Pollard is an experienced regional and stock theater performer having appeared in productions such as Wait Until Dark at the Bickford Theater. He also has several New York stage roles to his credit. THEATER LOVERS & FANS OF COUNTRY MUSIC: MARK YOUR CALENDARS FOR THIS UPCOMING SHOW! A RARE CONCERT APPEARANCE—ONE NIGHT ONLY! Selections to include "The Man I Love," "What I Did for Love," "Don't Cry for Me Argentina," "Cry Me a River" and more! 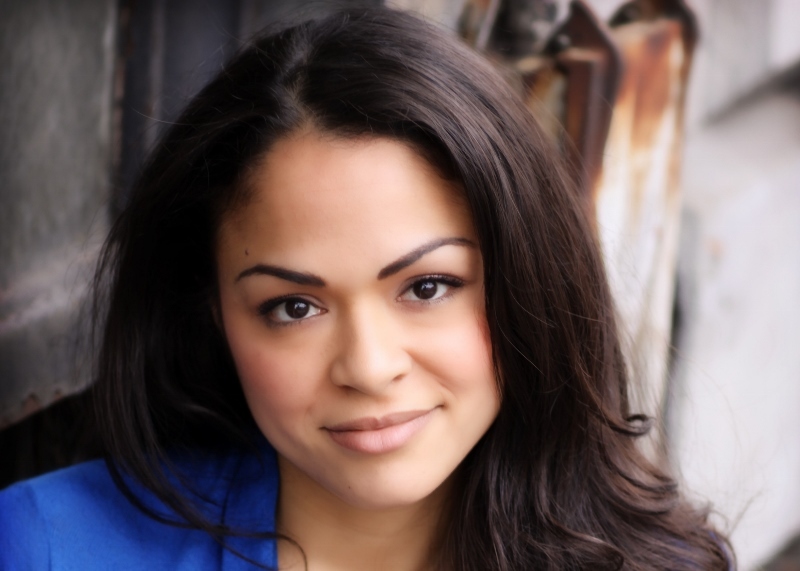 Most recognized for her roles on the hit NBC show Harry’s Law and her Tony Award-winning performance as Anita in the acclaimed 2009 Broadway revival of West Side Story, directed by Arthur Laurents, Karen’s Broadway theatre credits also include originating the role of Vanessa in the Tony Award-winning musical, In the Heights, Brooklyn The Musical, and in Jonathan Larson’s Pulitzer- and Tony Award-winning musical, Rent. A bilingual blend of music and folktales for the entire family. Musicians and storytellers are your guides on this unique journey through time, place, and imagination. Una mezcla bilingüe de música y cuentos para toda la familia. Los musicos y cuentistas serán sus guías en este viaje a travós del tiempo, lugares y la imaginación. Maestro Robert W. Butts returns to NJIT with BONJ to conduct an exciting concert of contemporary music. The concert reflects the orchestra ‘s philosophy of exploring music of all periods and styles, recognizing the importance of presenting the masterpieces of tomorrow along with the masterpieces of the past. Charming two-hander about the final years of Judge Francis Biddle ( Attorney-General to FDR ) and his new secretary. Winner of the 2012 NYC Fringe Festival. A farcical romp dishing up tasty theatrical comfort food. Dark comedy that deals with office politics and sexism at a architecture firm. Zany, hilarious yet touching story of three young couples trying to find their way. TICKETS: Advance tickets - $9 child & $10 adult. At the door - $11 child & $12 adult.Groups - $8 each of 20 or more. Adapted for Marionettes by Nicolas Coppola. The Royal Opera Ballet has live screening in cinemas this year. These shows provide an opportunity for audiences to see world class ballet performances on screen at the local movie theater. WHERE: The participating theaters in New Jersey for this are located in Clifton, Paramus, Hazlet, North Brunswick, and Edgewater. This show is ONE-DAY ONLY. Enjoy complete and unprecedented access to the treasures of Amsterdam’s Van Gogh Museum in a special re-showing of the gallery’s collection in celebration of the 125th anniversary of Van Gogh’s death. Experience the wonder of seeing these masterpieces on the big screen while specially invited guests, including world-renowned curators and historians, offer their interpretations and explanations of his work. With exclusive new research revealing incredible recent discoveries, the Van Gogh Museum has helped craft a cinema experience like no other. TICKETS: $25.00 for the General Public and $18.00 WPUNJ Community and Senior Citizens. $10.00 tickets are available for Students and Previews on March 31 and April 1. A crustacean comedy told in song and dance, Micro Shrimp takes you on an aquatic adventure you will never forget. Winner of the 2014 New Jersey Playwright’s Contest, Micro Shrimp is a fun, new musical with tunes that will swim around in your head. The only musical set in a saltwater tank, Micro Shrimp takes us into the lives of brine shrimp, who spend their lives worshipping their Light Savior, and hoping to be chosen by The Net to cross to the other side. When Artemus and Salina, the lucky chosen ones, get transported to the other side, they discover their true fate: they are but fish food, and the revolt begins! The creative team includes Musical Direction by Gonzalo Valencia; Choreography by Samara Grossman; Set Design by Bill Motyka; Lighting Design by Jeff Carr; Costume Design by Anne Garber; Sound Design by Todd Erwin; and Production Stage Manager - Shari Selke. Originally from Singapore, Marcus Yi is a writer/director and performer based in New York. He has created work in Singapore, Atlanta and New York and is the artistic director of Living Room Theater. He has worked on over 100 productions and his recently created work include Micro Shrimp The Musical, 29x/y, Lost At Sea, The Ephemeral Lightness of Dreams: the dream plays, Thicker Than Water: the blood plays and Baby Baby!. The New Jersey Playwrights Contest (NJPC) supports the work of emerging New Jersey playwrights and Tri-State musical composers by showcasing their work to the public through staged-readings and a full production of the winning play and musical. Unpublished scripts are solicited in the summer and put through a rigorous process that includes a staged-reading series. One play and one musical are finally selected to receive a professionally designed and directed production the following fall and spring semesters. Infused Quirk Production's 35mm: A Musical Exhibition, helmed by Daniel Viola, opens b This limited engagement continues through Sunday May 31st, at Luna Stage Company in West Orange, NJ. A picture is worth 1,000 words — what about a song? Can a picture inspire a song or fifteen? In 35mm: A Musical Exhibition, each photo creates an unique song, moments frozen in time; a glimmer of a life unfolding, a glimpse of something happening. A stunning new multimedia musical which explores a groundbreaking new concept in musical theatre... This intricately woven collection of stories told through song re-imagines what the modern American musical can be. A dynamic program, featuring Balinese, Spanish, and American dances, will salute the talent of women performers and guest artists in the company. To celebrate Women's History Month, the diverse program of dance, comedy, and song will celebrate the extensive talent and achievements of the company's female artists. WHERE: Fort Lee Public Library, located at 320 Main Street, in Fort Lee, New Jersey. BALAM makes its final stop to honor a special performer and dance trailblazer in the United States. Former company member Maher Benham joins as a guest artist to premiere Homage, a modern dance solo dedicated to American dance legend Martha Graham. Throughout the program, Artistic Director and host Carlos Fittante will offer interesting facts about the history and culture of each piece. Founded as a contemporary dance company in 1979 by choreographer and movement researcher Islene Pinder, BALAM Dance Theatre (BALAM) joins diverse dances and historical periods from around the world with the dazzling opulence and magical aura of Balinese theatre. A New York City-based chamber company, BALAM creates an entertainment experience that appeals to audiences of all ages and backgrounds. The company’s innovative artistry and movement fusion of athletic and detailed skills are enhanced by eclectic music, striking masks, vibrant costumes and fantasy stories. Programs include customized choreographies, lectures, demonstrations, master classes and workshops that educate the community at the grassroots level. BALAM has been featured at numerous festivals and venues, including First Night New York, Lincoln Center Out-of-Doors, Jacob’s Pillow Dance Festival, and Downtown Dance Festival and appeared throughout the United States and internationally. Praise has been received from the New York Times and Village Voice, the Governor and people of Bali and the Indonesian Consulate of New York, as well as others. 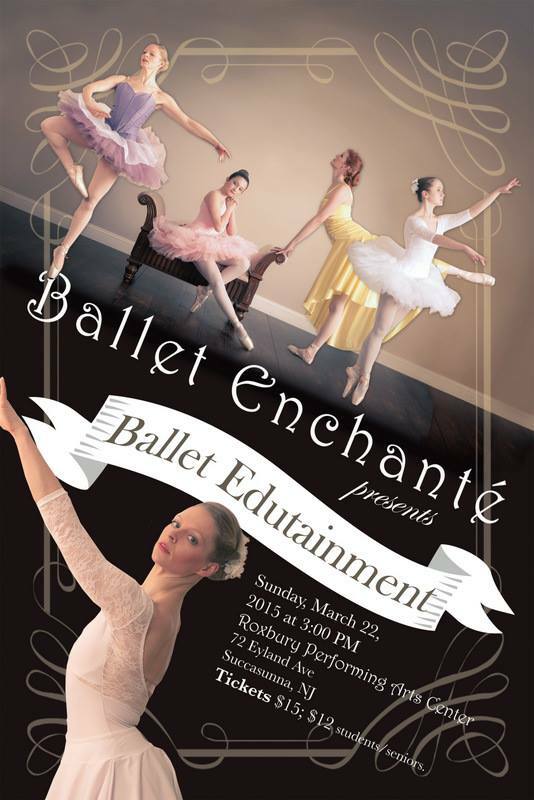 The Roxbury Arts Alliance is proud to welcome Ballet Enchante back to the Investors Bank Theater. With a cast of 4 dancers, Ballet Edutainment will feature an original, dramatically-narrated demonstration of the ballet class, followed by excerpts from the classical ballet repertoire & original choreographic pieces. For the first part of the show, dancers will demonstrate typical ballet class work with dramatic narration. In the second portion, enjoy performances of excerpts from the classical ballet repertoire as well as original choreography from the Ballet Enchanté repertoire. TICKETS: $15 for adults, $12 for Seniors,Students & Children each, available online or at the door. Dr. Shane Kenna, O’Donovan Rossa biographer; Judith Campbell and members of the O’Donovan Rossa Family. 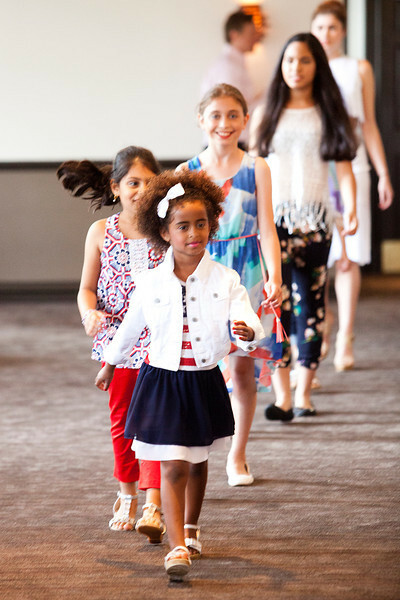 Enjoy an elegant sit-down luncheon hosted and catered by Cherry Valley Country Club, as students from Princeton Ballet School model the latest spring and summer fashions for children and young adults, provided by Lord & Taylor. Our hope is to reinforce that each of us is brilliant in mind and body. This will be an opportunity to bring family and friends together to celebrate the beauty (both inside and outside) of our entire Princeton Ballet School community. All proceeds from the event will support the Princeton Ballet School Scholarship Fund. 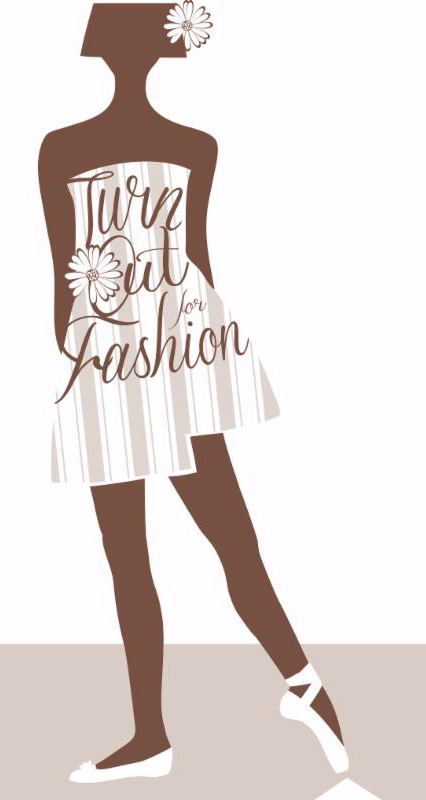 Click here to view an album of photos from last year's fashion show! Space is Limited. Please RSVP here for the various events. DRAMA TO PREMIERE @ TWO RIVER THEATER + 2 FREE ASSOCIATED EVENTS! “TOMMY” @ WAYNE VALLEY HIGH SCHOOL NEXT WEEKEND! 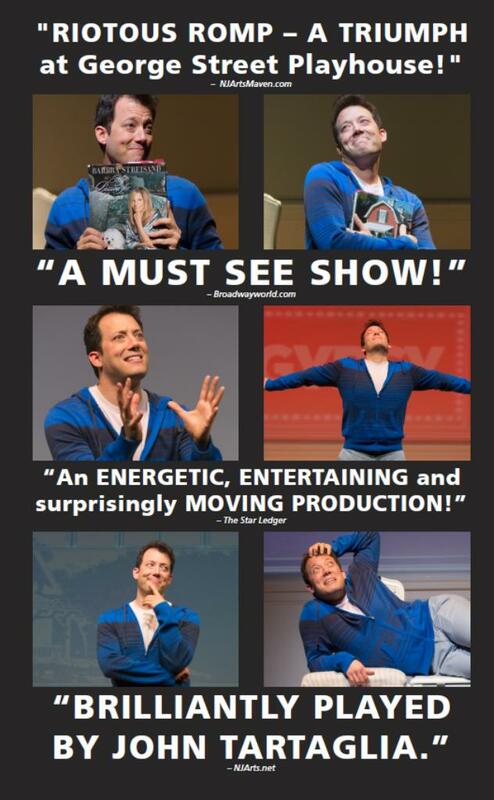 GREAT SHOWS IN MARCH @ UCPAC IN RAHWAY!